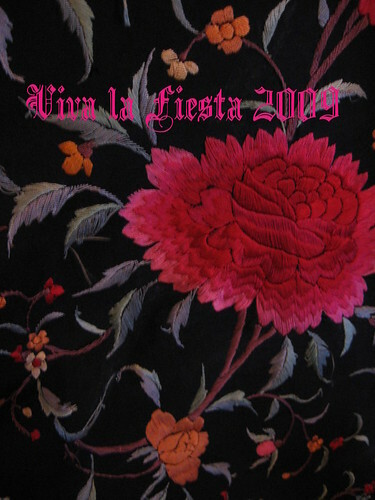 Santa Barbara's Old Spanish Days 2009 - ¡Viva la Fiesta! Beginning with the August full moon and continuing for four days, the Old Spanish Days Fiesta is celebrated by the entire community. Newspapers, newsreels, and national radio broadcasts publicize the event and attract thousands of visitors who join wholeheartedly in the festivities. It is the city's most democratic festival - men, women, and children from all walks of life donning Spanish costumes and participating in the gaiety. It had its inception on the occasion of the opening of the tradition-surrounded new Lobero Theater in 1924 and, except in 1925, when the earthquake intervened, has been an annual affair ever since....This achievement and the restoration of the near-by Casa de la Guerra constituted an initial civic accent on the pagentry and charm of the pueblo of remembered yesterdays. Certainly no other California community could provide a more beautiful or more atmospheric setting, more gaily caparisoned steeds nor more inherent love of the traditional fiesta spirit. 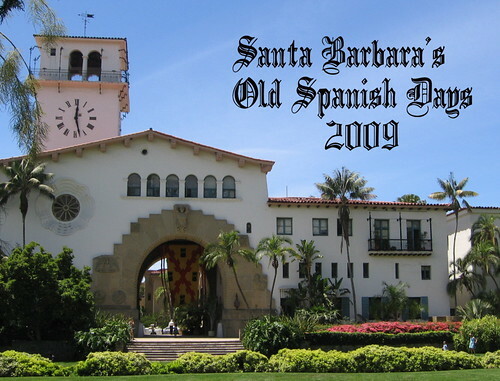 And again in 2009, during the full moon of August, all of Santa Barbara joins to welcome the Spirit of Fiesta - a spirit that was born at the Casa de la Guerra, built in 1828. This was the home of the fifth comandante of the Santa Barbara Presidio, Don Jose de la Guerra, and his family. 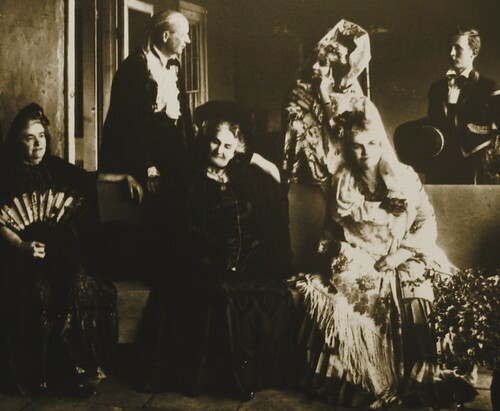 It was at the Casa de la Guerra that the sound of castanets, cante flamenco and Spanish guitar first accompanied the dancers who entertained residents and visitors during special events and celebrations. The De la Guerra family always extended a gracious and elegant Spanish welcome, lavish meals and warm hospitality to their visitors - despite their remote location on the Pacific Coast. It is this spirit of gracious welcome, of sharing and entertaining that inspired the first official Old Spanish Days celebration in Santa Barbara in 1924, described above. This year, our "Tribute to Tradition" celebrates the city's beautiful multi-cultural heritage, the blend of sights, sounds, customs, histories, colors and flavors that create the real Spirit of Fiesta. The Casa de la Guerra is the perfect place to begin your Old Spanish Days holiday - on the oldest street - and at the very heart - of our original city. 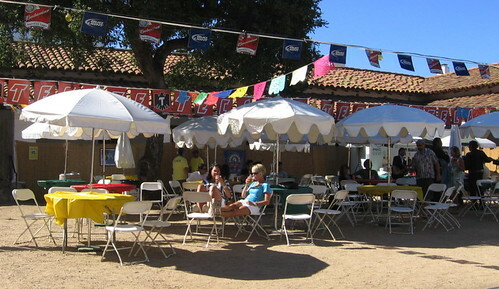 Throughout the Fiesta celebration, the courtyard of the Casa de la Guerra will be filled with people and laughter and music. This is the site of La Casa Cantina, open from noon to midnight each day. 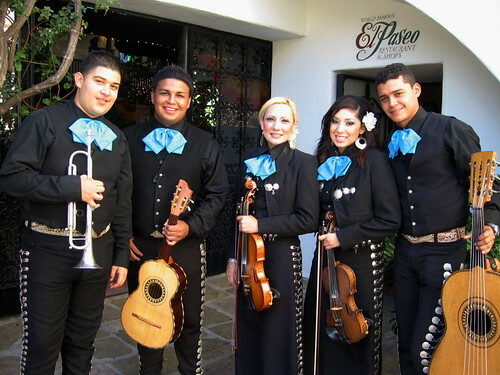 Here, visitors discover a lively venue offering a bit of shade, a cold drink, and the opportunity to relax - surrounded by the adobe walls that echo with mariachi music and modern tunes - as well as the whisper of history that clings to the shadows and walkways. Be sure you take a little time to tour the adobe casa. Acting as your hosts are the staff and volunteers from the Santa Barbara Trust for Historic Preservation, caretakers of La Casa de la Guerra. The Casa is open daily during Fiesta, and visitors are welcomed to walk the wide plank floors, to view the furnishings and decor passed down through family and friends of the De la Guerras. Also, you will meet docents who can provide insight into daily life throughout the timeline of Santa Barbara. They will share stories and legends about the local Chumash, various lovely ladies, savvy merchants, tough sailors, brave soldiers and hearty cowboys and other characters, as well as tales of Indian uprisings, marauding pirates, bandits and badmen, and even bear wrestling - a popular pastime in the early days. The Trust has recently unveiled an exhibit of old "magic lantern" slides. The slides were used with the early "magic lantern" projector, and featured exotic scenes from around the world. 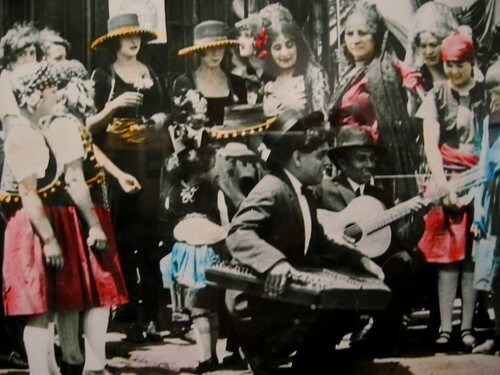 Included in the exhibit are scenes from the early Fiesta celebrations that were held in Santa Barbara in the 1920s. 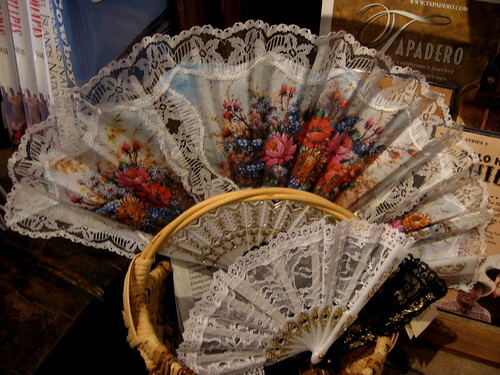 It is now, during Fiesta, that the veils separating the past and present seem thinnest, a time when you are aided in your quest to learn more about the rich history of this place. From your beginning at the Casa de la Guerra, you can take a passageway through to the El Paseo - another historic courtyard. This is also the home of the El Paseo Restaurant, site of many Old Spanish Days parties through the decades. Even now, dozens of dancers perform and beautiful music is played long into the night....There are fabulous old murals, and black and white pictures of long-ago Fiesta celebrations on the walls. The atmosphere is enchanting. From there, you can walk east along De la Guerra Street, toward the mountains. On the south side of the street, you will see the historic Meridian Studios, built by the famous architect, George Washington Smith in 1923. 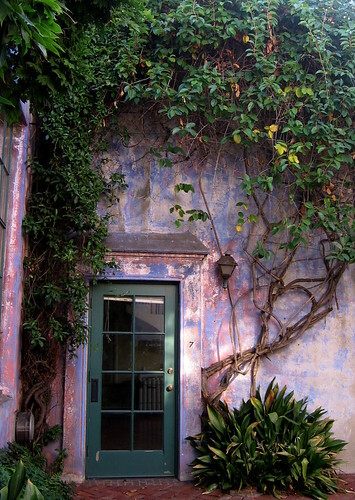 The quiet studio gardens are cloistered behind iron gates, with flowered vines spilling down pink stucco walls. 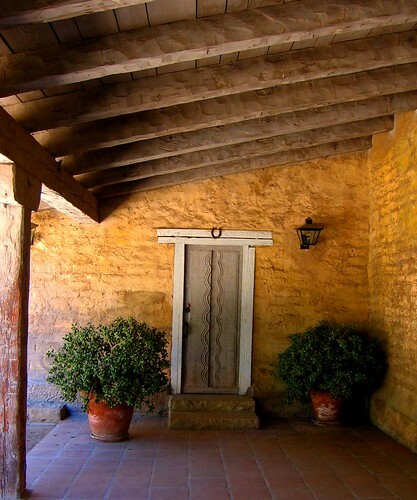 At the back of the property you will find the Lugo Adobe, built in 1830 - another of Santa Barbara's oldest buildings from the Pueblo Viejo. The Santa Barbara Historical Society Museum is located next door to the Studios. The museum has exhibits and artifacts that paint a detailed portrait of the confluence of people and events that created Santa Barbara. Also on the property is the Casa Covarrubias - the adobe home that was built in 1817 by Don Dominguez Carrillo, an early resident. The buildings and garden offer a quiet corner away from the revelry, an opportunity to feel the "bones" of the place - the foundation of a city whose residents have insisted on incorporating beauty, history, and tradition into every day life. 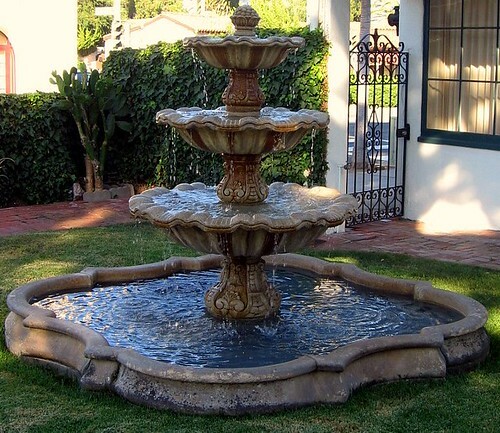 There are cool corners, carved benches, curved arches draped with vines, and shaded fountains located throughout the downtown area. It is not hard to find a place to take a quiet moment in the midst of chaos and celebration. Tomorrow, there will be mercados, rodeos, music, and dancing. Confetti will rain down from gold and silver cascarones. Sidewalks will crowd with visitors and locals. Bars will be noisy and full. And yet, if you look around, you will be able to find a path back to the past - a glimmer of history that better illuminates the beautiful pageant all around you.